The fabulous people, food and places in South Florida. Hosts Johanna Gomez and Jen Herrera. Box Office Standings: "Men in Black 3" Neuralyze "Avengers"
Each week we run the box office numbers through our proprietary formula that tabulates receipts, the film's budget, the number of screens and critical response to see not just who made the most money, but who's leading the PopcornBiz Championship Series. After 21 consecutive days as the #1 movie in America, "The Avengers" were finally knocked off their perch by Will Smith's "Men in Black 3." Before we hail "MIB3"'s triumph, let's take a minute to consider "The Avengers"'s run: in the course of racking up $523 million so far, "The Avengers" enjoyed the best 1st and 2nd weekend of all-time, and the film is poised to pass "The Dark Knight" ($533 million) for highest-grossing comic book adaptation and the #3 spot on the all-time list. It was one of the few films of recent vintage that completely lived up to its hype--both commercial and critical. 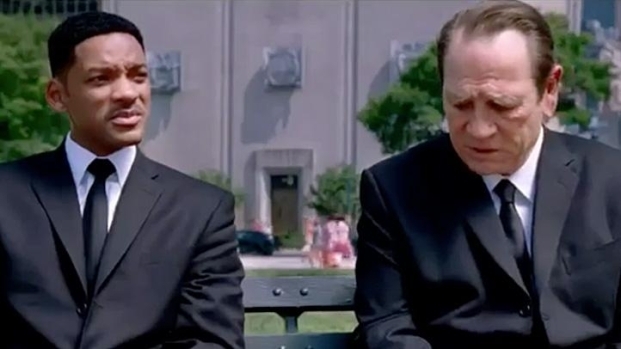 Agent J (Will Smith) must go back to 1969 to team up with a then 29 Agent K (Josh Brolin doing an amazing Tommy Lee Jones impersonation) to fix the future. Opens May 25. Earth's mightiest heroes--Iron Man, Hulk, Thor, Hawkeye, Black Widow and Captain America--join forces to fight for the planet's survival. 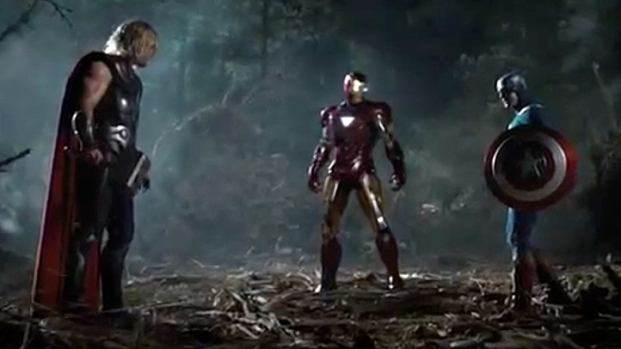 Starring Robert Downey Jr., Chris Evans, Mark Ruffalo, Chris Hemsworth, Scarlett Johansson, Jeremy Renner, opens May 4. "The Best Exotic Marigold Hotel," which stars Judi Dench, Tom Wilkinson and Bill Nighy as a group of pensioners who head off to India, took in $8.2 million this week, after expanding into another 879 theaters. People often talk about how grossly under-served blacks and Latino audience are at the movies--and they definitely are--but people over 60 are probably even further overlooked. This would go a long way toward explaining how it is that "Best Exotic" is doing so well. Just watch--you think we're coming out of a vampire glut? Beware the old people! Next week the greybeards will be confronted with "Snow White and the Huntsman," starring Kristen Stewart, Charlize Theron and Chris Hemsworth.